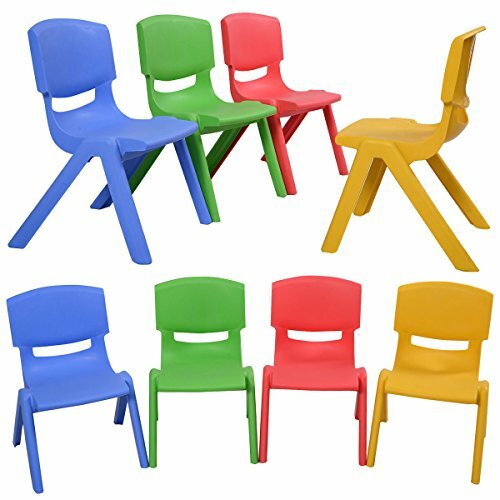 This is set of 8 portable and stackable plastic chairs for your children to learn and play. They are come in 4 colors:blue, green, red and yellow which will liven up your child's Bedroom, Playroom Or Back Patio. It Is Ideal For Lunch, Art Projects and homework or story time. And there is no need for assembly. Seat Height From Ground: 10"